Grandioso! Why don't you make Spider-Man and his 6 main foes??? They should be funny! Can you imagene octopuss, elektro & Co.???? Hi Gustavo, I'm unable to download the required pages to print out. Please can you verify the download or email me the required document to print out. Mediafire now have sponsor publicity, you have to wait 5 seconds and skip the sponsor to download the file. Tell me if that work please. Sorry mate but I still cannot download it :-( I'm desperate to see how this looks. Perfect! Thanks again for recreating one of my favourite star wars characters. Gustavo, felicidades por tu arte! Usted puede hacer y publicar en nosotros, Subzero y Scorpion en Mortal Kombat? Estaremos muy agradecidos! Let's wait for your creation! Thank you! Hey are you planning on doing Ultraman in the future? Ha énorme! Pour un fan de Star Wars comme moi c'est géant! 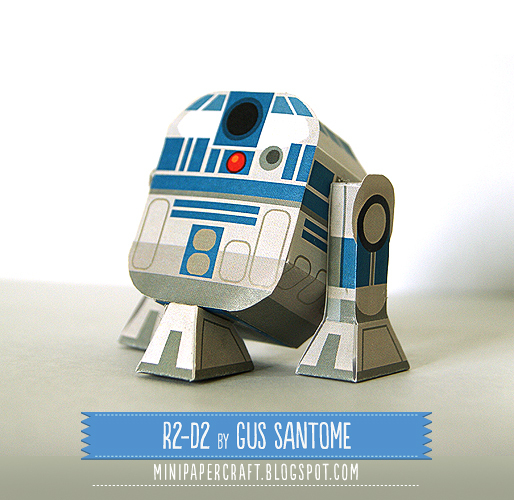 Du coup je l'ai imprimé au format A0 et ça rend vraiment bien :D Est-ce qu'il y aura d'autres papercrafts de Star Wars?